Dr. Hunter has completed undergraduate studies in languages and social sciences at the University of Saskatchewan in Saskatoon, and has French certificates from Laval University in Quebec City and the University of Geneva in Switzerland. In addition, he has completed graduate studies in history and education at Oxford University in England, and the University of Regina in Canada. He was awarded the Governor General’s Gold Medal for a study of the decision-making processes adopted with statistical evidence when educational standards are developed. Dr. Hunter has recently completed a dissertation for the University of Regina which looks at school principals’ pragmatic interpretations of graphed statistics. 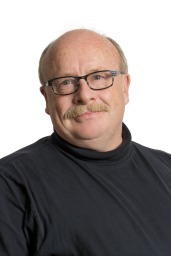 He is also co-writing a book for the University of Regina Press entitled “Put to the Test: Teacher Professionalism in an Era of Accountability”. He has taught middle years and secondary languages and social sciences for twelve years, and both undergraduate and graduate courses in educational administration and program evaluation for the University of Regina and the University of British Columbia. Dr. Hunter is the (co)author of over twenty peer- reviewed research articles that address curricular and instructional issues relating to gendered outcomes in literacy and oracy, literacy measurement, teacher involvement in scoring, validity and reliability of authentic assessment approaches, and teachers’ classroom assessment practices. The focal point of his research is how both classroom and large-scale assessment statistics reconstruct educators’ views of student achievement, shape instruction, and enact curricula in schools.